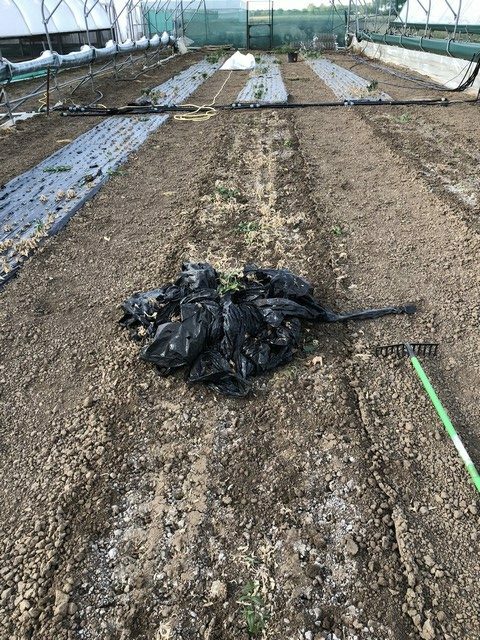 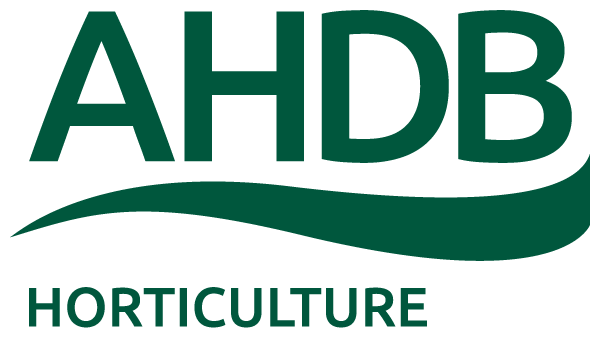 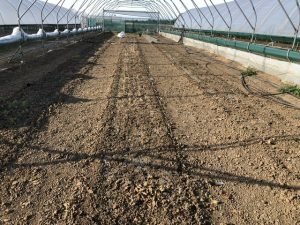 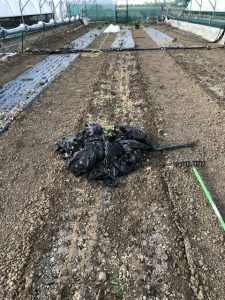 The Fusarium tunnel has now been cleared with the poly mulch and dead plants put into bags and burnt, the soil rotovated and the cover taken off the tunnel. 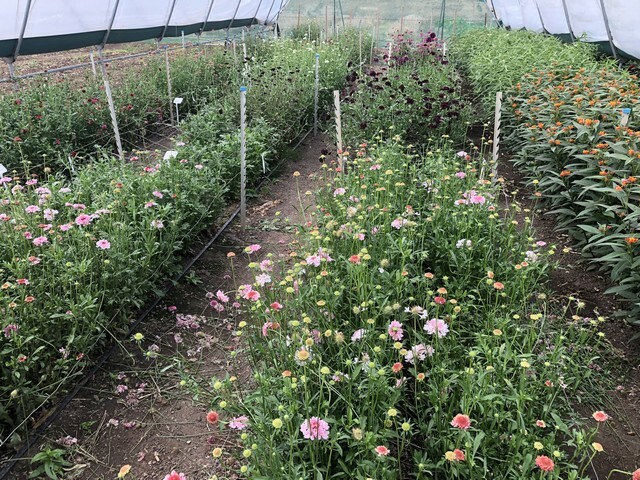 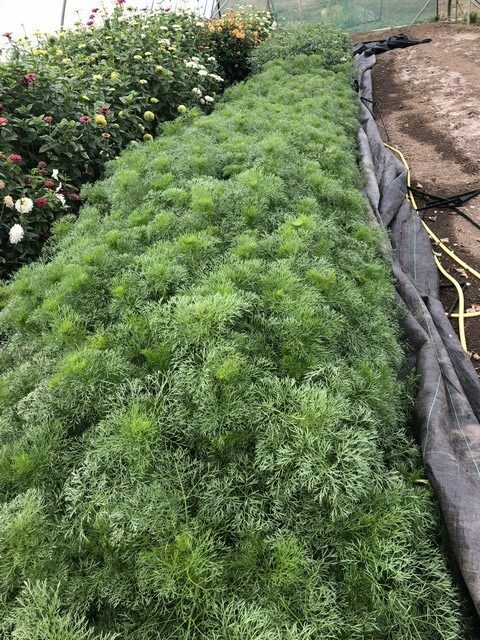 The week 29 planting of Ammi visnaga is now in full flower (see left hand photo) and the week 32 planting (see right hand photo) has made a bud but is unlikely to be ready before the tunnel is uncovered at the end of the month. 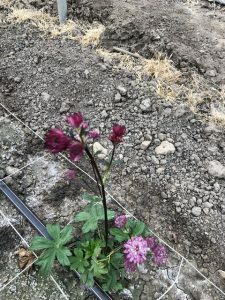 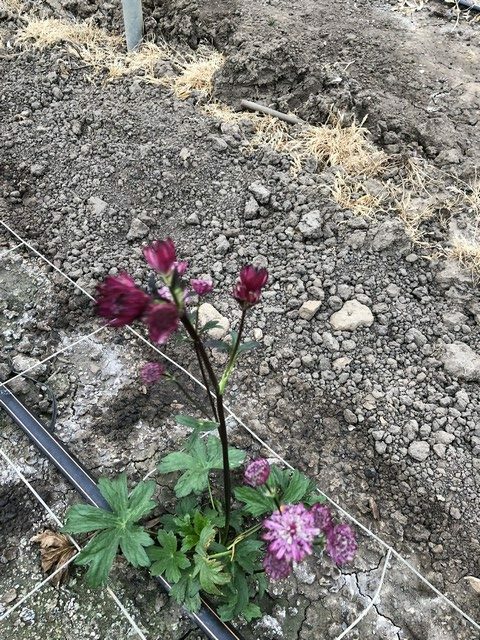 The Astrantia has now established well and is throwing the odd flower or two. 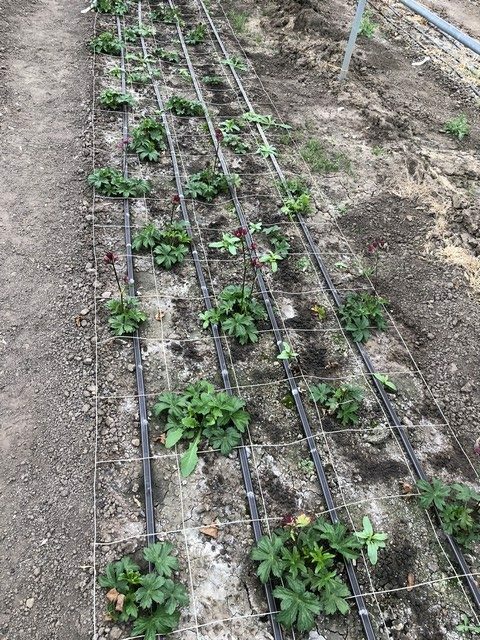 Hopefully the plants are now robust enough to survive the winter. 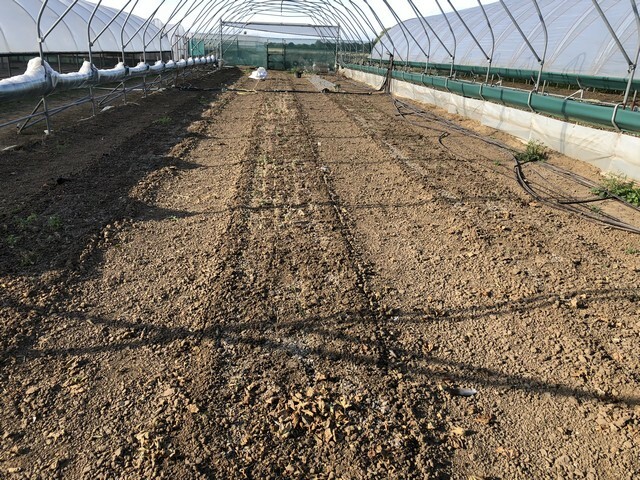 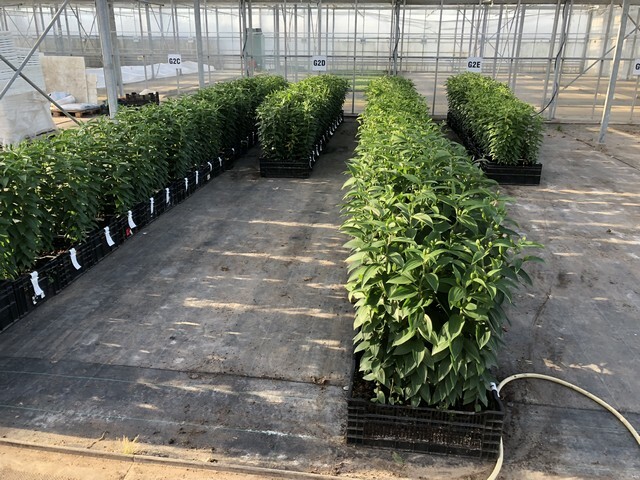 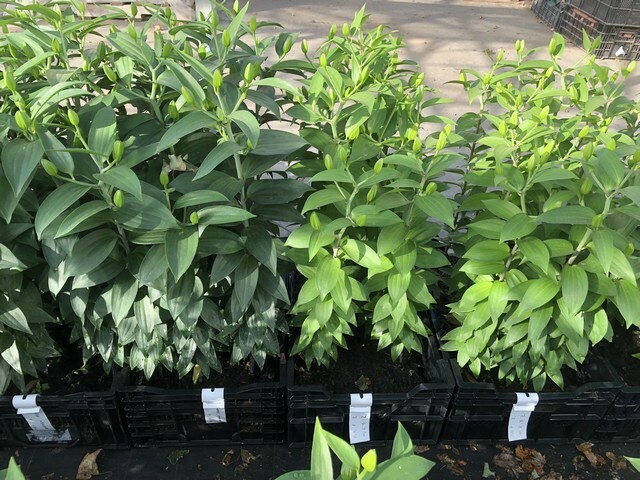 The lily alternative growing media trial has now been moved into a glasshouse (see left hand photo) and there is a big difference between one of the treatments and the growers own mix (see right hand photo). 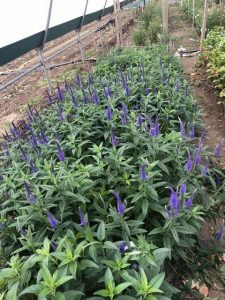 The second flush of the week 18 planting of the Veronica is now ready for harvest and has made an acceptable stem length. 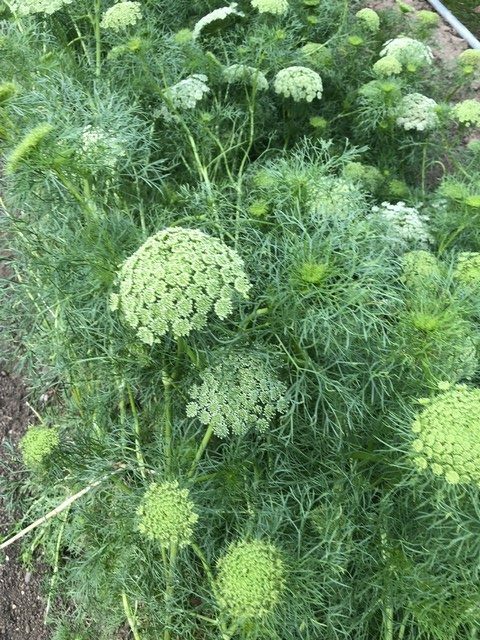 As with the first flush, pinching at different times has made very little difference to the blue (see left hand photo). 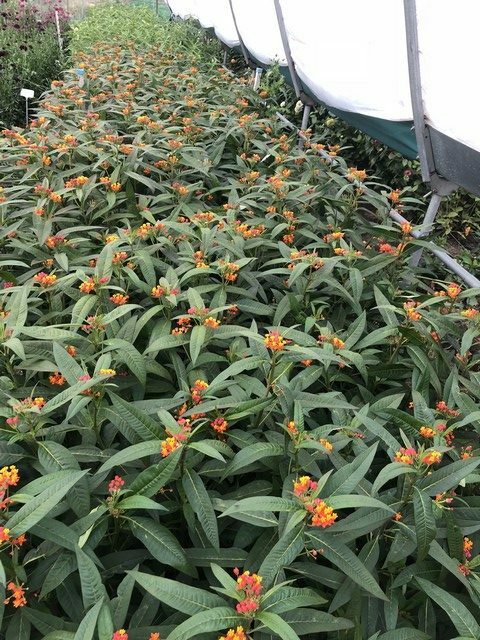 The week 26 planting of Asclepias “Apollo Orange” is still producing marketable stems and this bed has now been flowering for almost 4 weeks (see right hand photo). 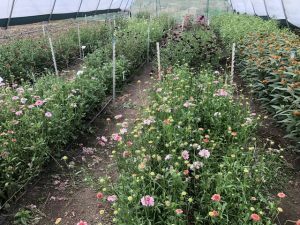 The Scabious that were cut back a month ago are growing back well (see left hand photo) although there are difference between varieties. The new flush is not showing any sign of the leaf mottling and chlorosis shown on the old foliage and this is particularly the case with Cherry Vanilla Scoop (as was the case in previous years). 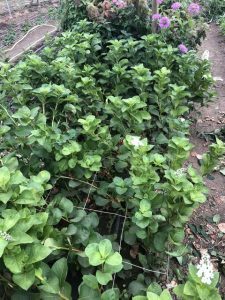 The Lysimachia is still cropping (see right hand photo) but will probably be finished next week, the first flowers originally being ready for the Open Day in week 32!